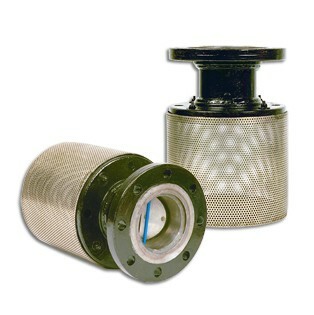 This foot valve features a 150# flanged-end connection and will operate in either the vertical or horizontal position. Custom material configurations, sizes and pressure ratings are available upon request. Size: From 1" through 12"
Note: Dimensions subject to change without notice. Request certified drawings. Standard screen is 0.125” perf. [40% open] with a 6:1 open area ratio. (Screen material is 316 S/S) Other screen openings are available upon request.